Stunning photograph! I like the brilliant yet soft muted colors, what great contrasts in the steel blues and the golds. The composition is fantastic! Beautiful peaceful view. I like this a lot. 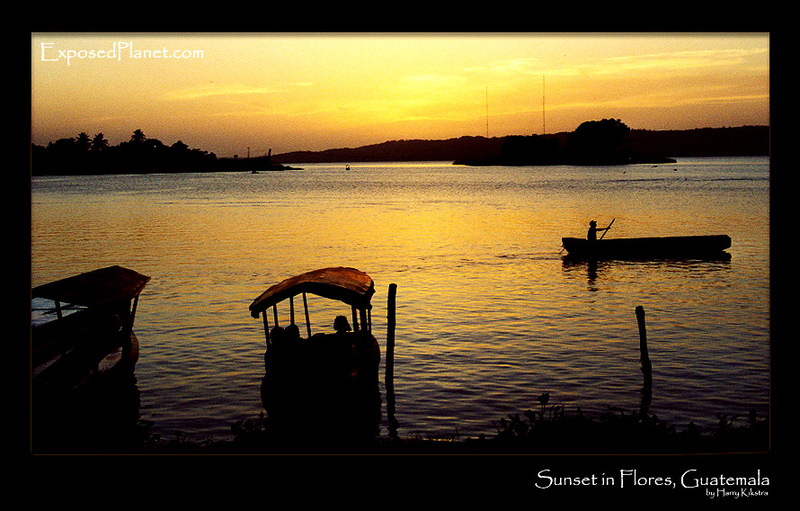 The story behind "Sunset in Flores, Guatemala"
A fisherman slowly returns home, while the sun is setting over the lake near Flores, the island that is connected to the mainland by a bridge. Close to the majestic Maya ruins of Tikal, it is quite a touristic place. Currently there are new elections being held in Guatemala, whoever wins, I hope they can overcome end the long violent aftermath of the US induced civil war that lasted more than 35 years..